Litija is a town in the Litija Basin in central Slovenia. It is located in the valley of the Sava River, east of the capital Ljubljana, in the traditional region of Upper Carniola. The entire municipality is now included in the Central Sava Statistical Region; until January 2014 it was part of the Central Slovenia Statistical Region. The town is home to about 6,500 people.NameLitija was mentioned in written documents in 1256 as apud Litigiam and apud Lvtyam . Medieval transcriptions indicate that the name was originally *Ljutija, derived from *Ľutoviďa . Suggestions that -ija is a suffix or that the name is derived from German Lutte ' drain' are less likely. Other pseudoetymologies include Johann Weikhard von Valvasor's suggestion that the name evolved from litus, the Latin word for 'riverbank'. The town was officially known as Littai in German until 1918.HistoryLitija developed as a trading post between Trieste, Ljubljana, and Croatia. The town gained market rights in the 14th century. In Roman times mining developed in Litija and remained one of the primary sources of income until the 1965, when the biggest of the mines closed. In 1849 the Austrian Southern Railway reached Litija and boosted its economy. This development, however, also meant a decline in some of the traditional local professions. The Litija post office was opened in December 1852. After the Second World War, Litija annexed the formerly independent settlements of Podsitarjevec, Gradec (Grazdorf), Grbin (Gerbin), and Podkraj. Litija is in Styria Region. 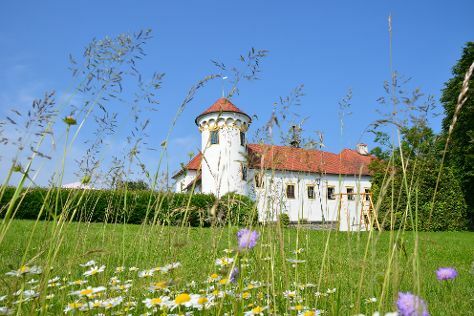 Plan your holiday in Litija and other destinations, from the rural, to the urban, and everything in between, using our Slovenia road trip planning tool .